As a real estate professional, Maggie Chou Bell represents the complete financial package — a trusted advisor who knows the importance of real estate as an investment . Maggie is a home owner, landlord, and investor. Experience in these different aspects of real estate allows her to help her clients reach their goals according to their specific needs. Prior to becoming a full time realtor, Maggie was a banking professional for 18 years working for the most trusted names in the financial world including Citi and First Republic. She has extensive knowledge in financial services, credits, and investments and has the unique ability to connect clients with the professionals that can help them protect their financial health. Maggie has been a direct real estate investor since 2009. Her real estate consultation with clients includes assessments to determine risk level and financial goals in order to form real estate investment strategies. She specializes in both passive RE investment such as buy & hold properties for income generation, as well as managing rehab projects to generate high yield short term gain. Nestled in the scenic foothills of the San Gabriel Mountains, this beautifully maintained mid-century ranch is a composition of large, light-filled spacesa generous canvas to make your own. The 9,520-square-foot property sits comfortably within an idyllic tree-lined East Altadena neighborhood, adjacent to Altadena Country Club, a short drive to some of Los Angeles' best hiking trails and set to an awe-inspiring mountain backdrop. Large windows afford an abundance of natural sunlight in the day and two fireplaces provide warmth and comfort by night. Original appliances in the kitchen set the tone for the charming, almost nostalgic 50s character of the home. Step down into the serenity of the patio and swimming pool, enveloped in mature trees and lined with garden beds. 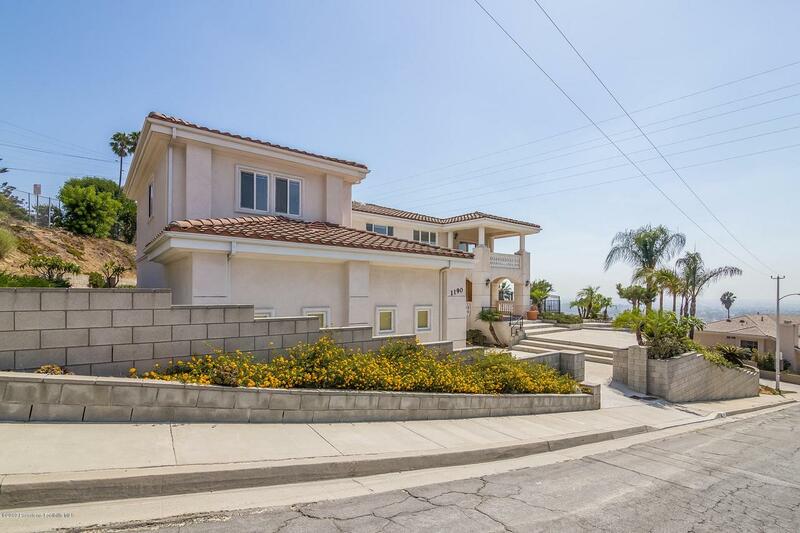 This East Altadena home is sure to win over your heart and play a beautiful role in your story. Built in 2014, this light-filled home offers all the modern amenities including a beautiful kitchen with stone countertops, 2 generous sized Master Suites, dining area and living room, completed with energy-efficient appliances. Included with the HOA is private access to The Resort, The Resort boasts two-acre community recreation center, a private fitness center, Jr. Olympic swimming pool, spa, a children's wading pool, outdoor fireplace and barbecue. Located in close proximity to the Gold Line Station and Azusa Pacific University, and ten-of-a-kind neighborhood parks. Make this your home today! This two-story home features 4 bedrooms and 3 full baths in an inviting floorplan which showcases all the wonderful updates throughout. New wood flooring is found in both the spacious living and dining rooms, creating a seamless flow into the beautiful kitchen. Newly remodeled, the top of the line kitchen has stainless steel appliances, all from the Frigidaire Gallery Collection, dark solid oak cabinets, and quartz countertops with eat-in peninsula area. The family room adjacent to the kitchen has a cozy fireplace and provides direct access out to the covered patio. The backyard is an entertainer's dream, complete with a sparkling pool, spa, fire pit, and gated RV parking. Conveniently located in close proximity to shopping, restaurants, the Metro train station, and some of SoCal's best golf courses, nothing is missing from this fabulous house except to make it your home. Situated within an esteemed complex in the prime Pasadena neighborhood of Madison Heights, this light and bright two-story townhouse offers generous space in an idyllic setting. Enter on the first floor to find an expansive living room and completely renovated kitchen, well-appointed with stainless steel appliances, granite countertops and custom wood cabinets. Floor-to-ceiling windows saturate the living area with sunlight and provide a gateway to the enclosed balcony, which frames a pleasant view of the neighborhood surrounds. Two spacious bedrooms complete with hardwood floors balance out the home on the second level. The unit also includes private laundry and two side-by-side parking spaces, and within the well-maintained gated complex one can enjoy a sun-drenched pool, spa and terrace ready for dining, entertaining and respite. Located towards the back of the complex away from California Blvd, it is quiet and free from street noise. Conveniently located near the Paseo, South Lake, Old Town Pasadena and the Gold Line, this townhouse is a great fit for an opportune lifestyle.